Here are 7 reasons why mutual funds should definitely be a part of your wealth building portfolio. Isn’t this what all of us seek from our investments? Mutual funds provide the right avenue for investing in a variety of market-linked instruments, which have time and again delivered superior returns compared to other traditional investment options. Debt funds have consistently beaten Fixed Deposit (FD) returns, and with bank interest rates going south, they present a good investment choice for investors with lower risk appetites. For the more adventurous investors, equities (shares) present a great investment avenue, for higher, inflation-beating returns. And investing in equities through mutual funds is an excellent way to enjoy the higher returns, but with much lesser risk, thanks to rupee-cost averaging, portfolio diversification and many other factors. Data reveals that equity funds have delivered around 11-15% returns over the last 10 years. With inflation averaging at 4-6%, you could get a head start on your savings, by identifying and investing in the right mutual funds today. Mutual funds are professionally managed by fund managers, whose every day job is to track the markets and manage investments. Fund managers identify the winning stocks to buy, when to buy them, and more importantly, when to sell them. They spend hours analysing the performance of companies, and if they fit the fund they manage. What’s more, all mutual funds are governed by SEBI, the industry body, and are highly secure and transparent. So, while earning is your job, investing it wisely and delivering high returns is the fund manager’s job. You can rest assured, knowing that when you invest in the right mutual fund, he/she is likely to manage your funds far better than you. Habits are hard to break. Which is why we are advised to inculcate good habits. And what better habit could there be, than investing for your secure future? When you start a Systematic Investment Plan (SIP) in a mutual fund, you are committing to invest a certain amount on the same day of the month, consistently for a certain number of months/ years. Such a commitment instils in you the discipline to take a productive action towards your future. It becomes a fixed component of your monthly spend, around which all other expenses have to be factored. Your disposable income will be that which is left, after your mandatory expenses and investments are done. This way, you ensure that nothing comes in the way of your goals - neither a fancy dinner nor a shopping trip. Almost all your traditional investing instruments come with long lock-in periods, which make it hard for you to get your money out, in times of emergencies. Mutual funds, on the other hand, broadly come with less, if not no, lock-in periods. Most funds do not have a lock-in period and give you the flexibility to redeem your money when you need it. Even tax-saving Equity Linked Savings Schemes (ELSS) come with a short lock-in of only 3 years. So you are saved the hassle of fixed, long lock-in periods, as seen in other investment options. Having said that, experts recommend that a fund should not be redeemed until the goal for which it was started is fulfilled, as the longer you stay invested, better are your chances for higher returns. Within the world of mutual funds there is a wide variety of investment choices to pick from - equity funds, debt funds, liquid funds, tax-saving funds etc. So, depending upon your profile, goal and preference, there are various funds that are ideal for you. Unlike a PPF or an NSC, where the rules are already laid down for you, here you can choose what type of fund you want, how long you want to stay invested, how much you want to invest, and much more. Just like how a tailor-made outfit is often a better fit for you than a ready-made garment, a personalized mutual fund portfolio with the right advisor is the best fit for your goals. We’ve all heard the adage “Don’t put all your eggs in one basket”. This is the premise of diversification. It means spreading your investments across asset classes and stocks, to reduce your risk. With mutual funds, you get the advantage of default diversification, as your fund manager invests across a variety of stocks. Sudden changes in one stock, are likely to be balanced out by the performance of other stocks in the fund. It is an ideal way to get a taste of the equity markets, but with lesser risk. Of course, it is important to not invest all your money in one mutual fund, and further lessen your risk by diversifying across different types of mutual funds. Consult your financial advisor on how to balance your portfolio by selecting the right mutual funds. And finally, investing in mutual funds is now a piece of cake. The whole process is offered online by many players in the industry. Starting a SIP or making an investment can be done in a matter of few clicks. Even tracking the performance of your investments can be done easily online. You can set up a bank mandate for monthly investments and set your SIPs on auto-pilot mode, so that you are even saved the hassle of manually investing every month. The SIP amount is automatically debited every month from your account. In short, mutual funds today, provide the right ground for investing with the least effort, and with the potential for maximum returns. 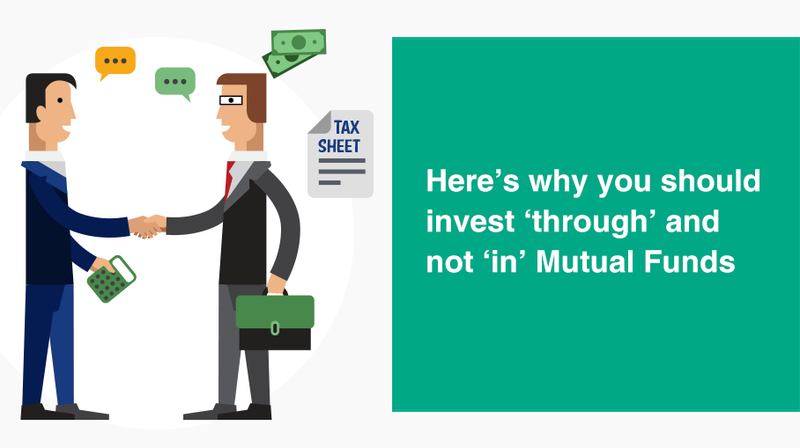 Really well information... A mutual fund will fulfill your financial plans and goals. Because even you could start investing in a mutual fund with rs.500. 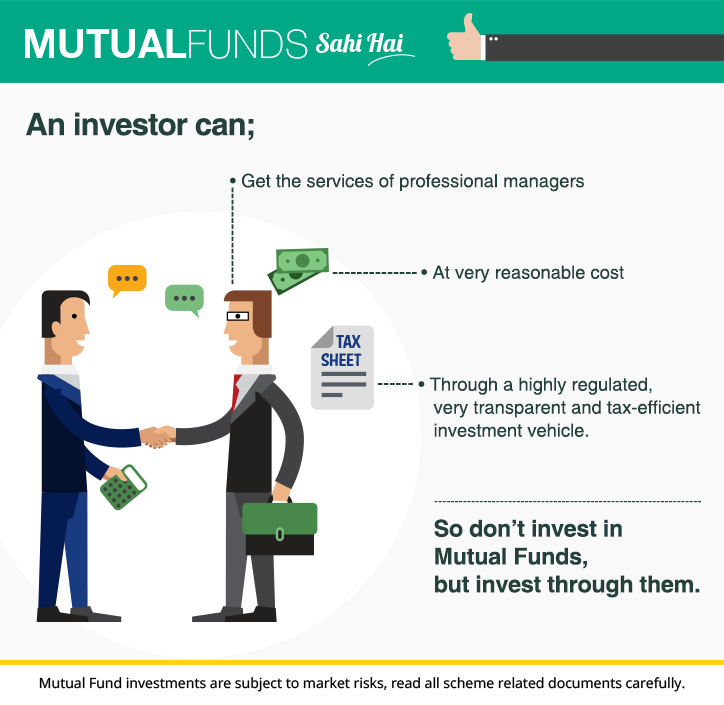 so, this is the reason why the mutual fund is the right option for small investors.